Please share your opinion on the Master Plan Scope and Consultant before 5/22/18! Thanks to everyone who came to the Master Plan Community meeting on May 1st. It was a wonderful showing of people from the neighborhood who are exciting about the future of the Reservoirs. We encourage everyone who wasn't able to attend (and those who did, too!) to COMMENT ONLINE ABOUT THE MASTER PLAN. We did it! The Master Plan is starting soon! It's official! 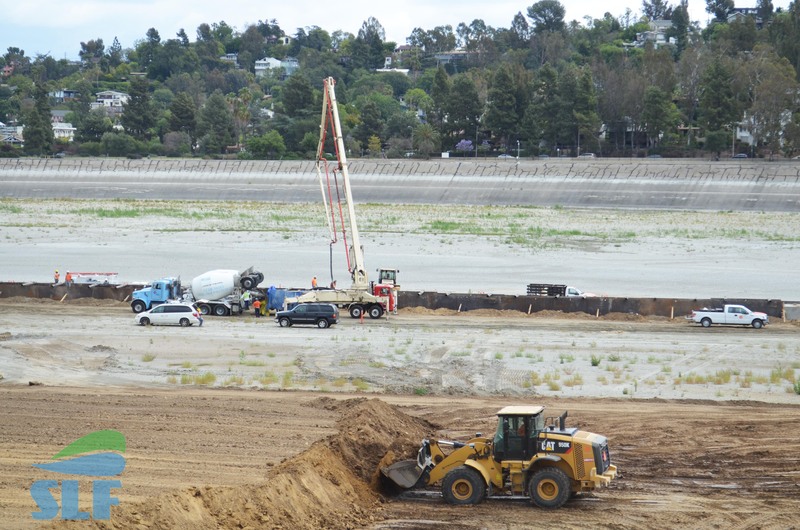 The Los Angeles City Council approved a Memorandum of Agreement between the Bureau of Engineering (Engineering) and the Los Angeles Department of Water and Power (LADWP), which allows us to begin the Silver Lake Reservoir Complex Master Plan process. A huge thank you and congratulations to everyone who signed our petition, attended community meetings, and reached out to our City Council and DWP staff to support this process. We want to extend our special thanks to Councilmembers O'Farrell and Ryu, as well as their staffs, who have been supportive of the need for a master plan and who were instrumental in creating this opportunity for our community. 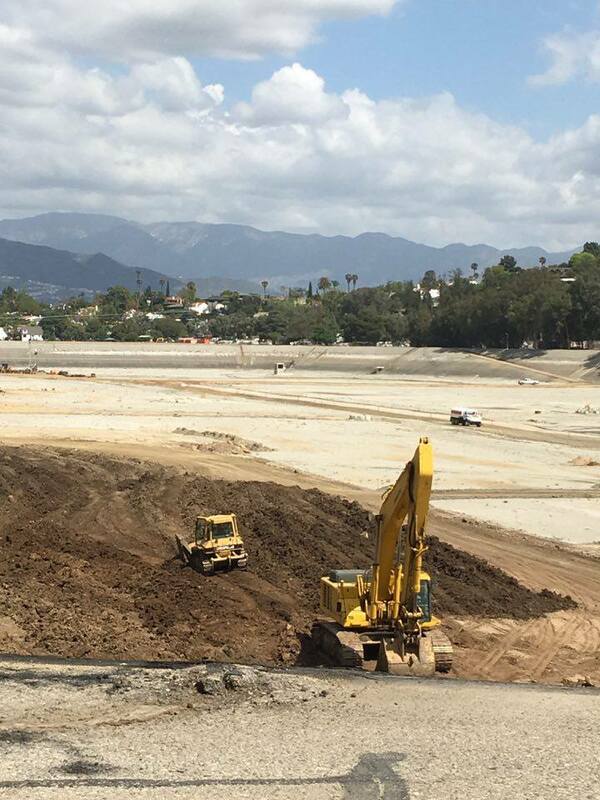 Big thanks for LADWP for providing the funding and starting the process, to the Mayor and the Public Works Commission for their support, and to the Bureau of Engineering for seeing the potential to create an incredible public space. 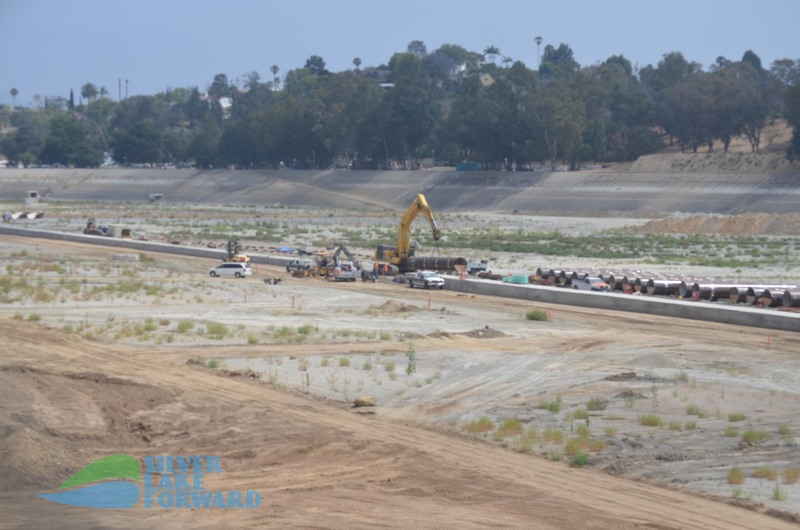 At the end of June, Silver Lake Forward's Executive and Policy Committees shared the following with our Councilmembers O'Farrell and Ryu, as well as the Mayor's Office and key departmental leaders within the City and the Department of Water and Power. 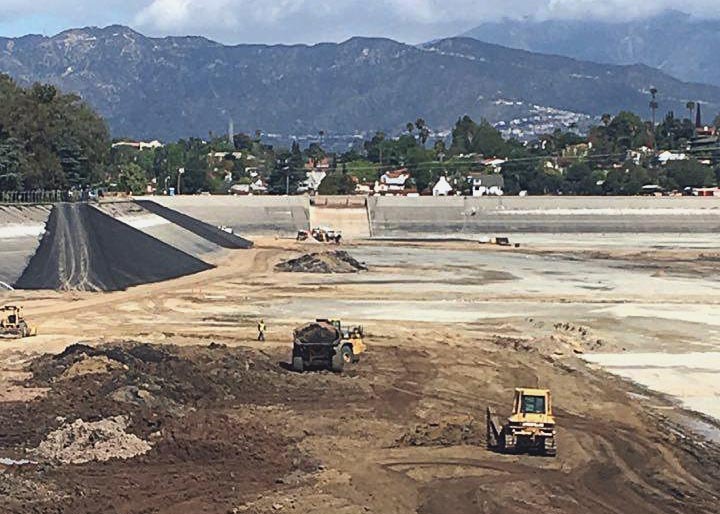 We wanted to share the thoughts of our organization's leadership as the City begins the process of developing a new master plan for the Silver Lake Reservoir Complex. We can't wait to engage the community as part of a new master plan! Share your thoughts and feedback on our social media platforms! We do not support anything that will delay the May 1, 2017 refill start date. However, we believe none of the following next steps will do so; and we respectfully request that the DWP and the Council offices coordinate to implement them. 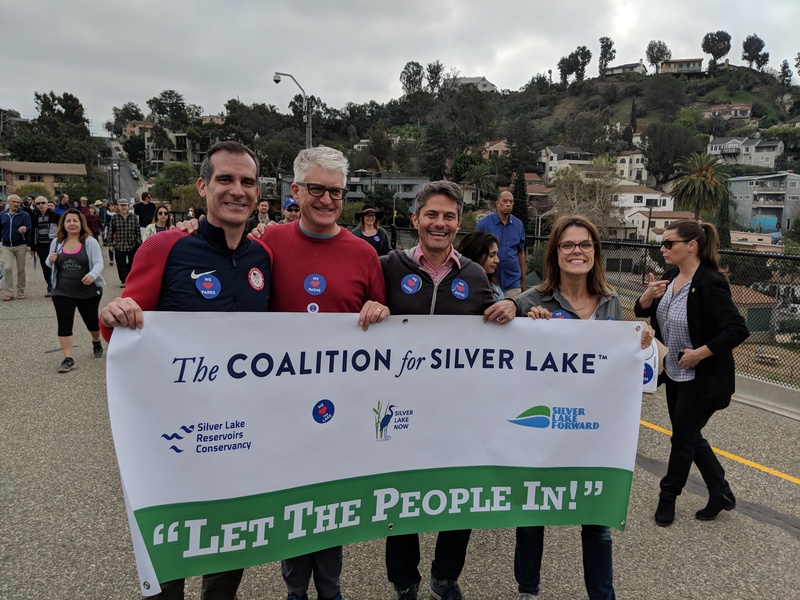 Silver Lake Forward was out in force at the November 14th Community Meeting on the future of the Silver Lake Reservoir complex. We continue to appreciate the leadership of our Councilmembers O'Farrell and Ryu and are glad that they and the Department of Water and Power hosted another Community meeting. 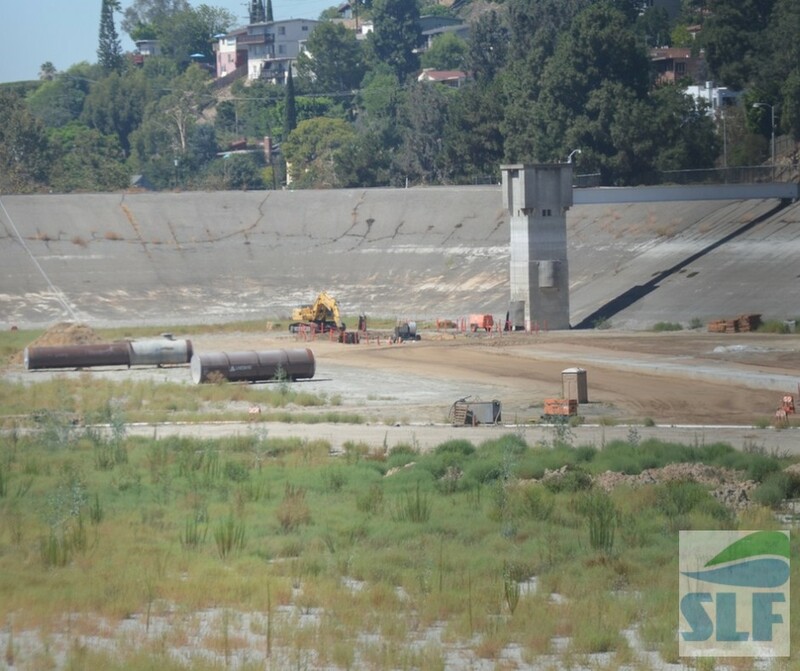 However, we were disappointed to hear that DWP chose not to follow the wishes of the 800+ residents who responded to the Silver Lake Reservoir Conservancy survey and the 1,000+ signers of the Silver Lake Forward petition and partially remove the concrete along the banks of the Reservoir now, while the reservoir is empty. 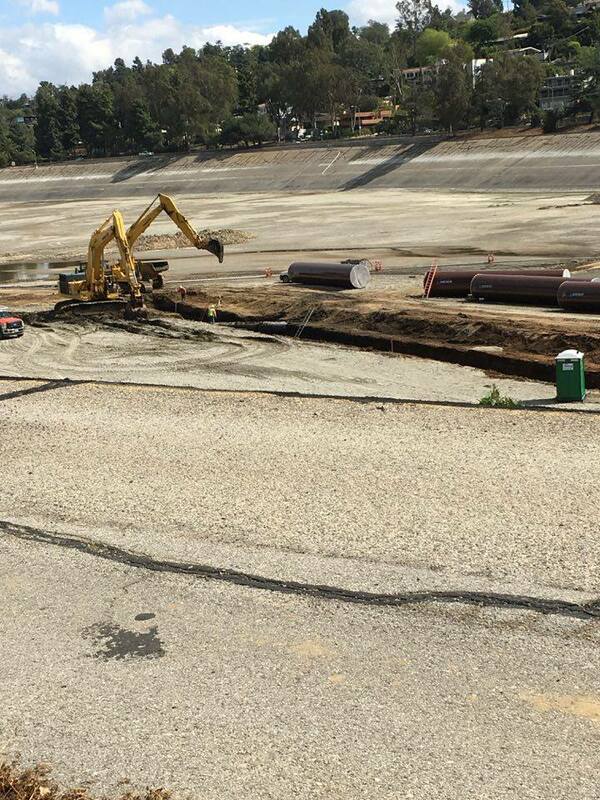 We believe the majority of the local community favors more natural banks and plantings, and we are disappointed that DWP have retreated from their earlier indications that removing the concrete was doable before the May 1 refilling target date. 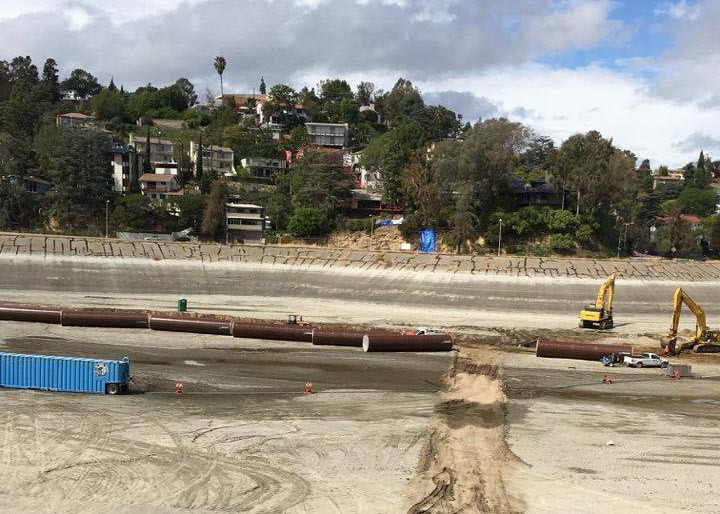 Sign the Silver Lake Forward Petition! 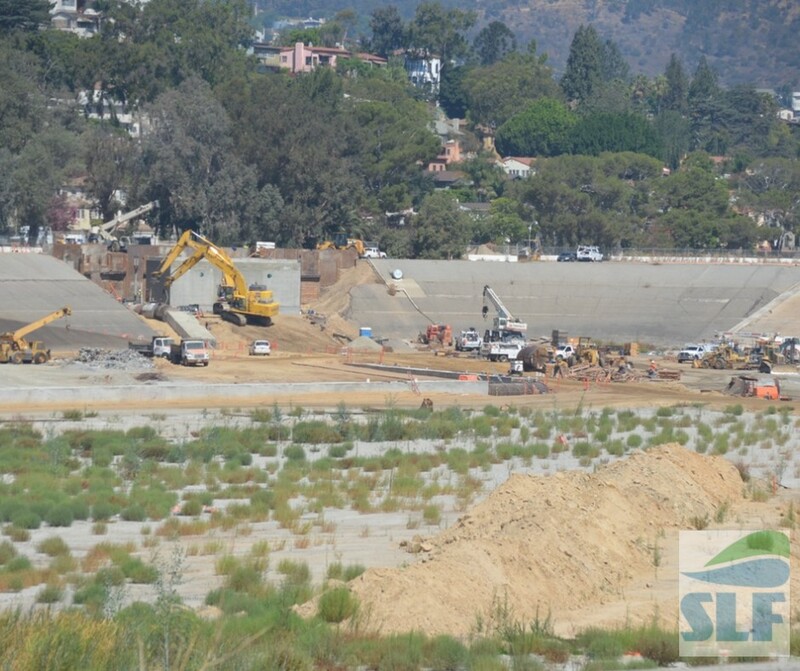 The City and DWP must fulfill their obligations to our lake, land, and community. 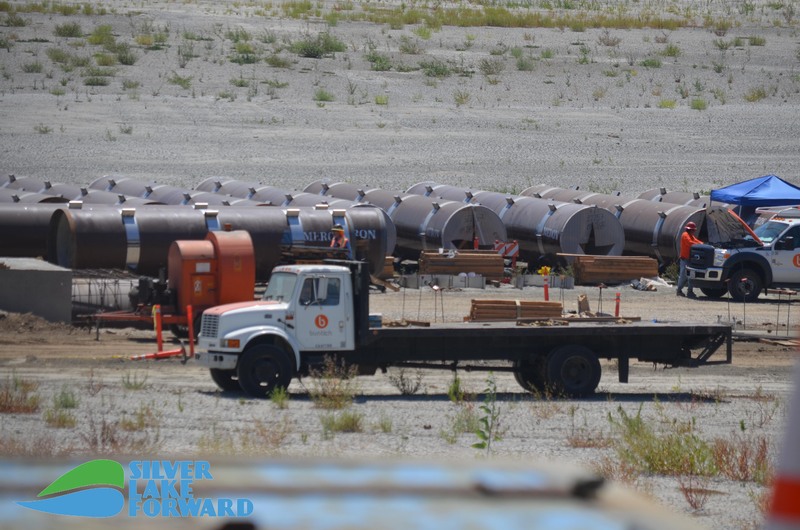 We can refill the Reservoirs with a sustainable, local water source! 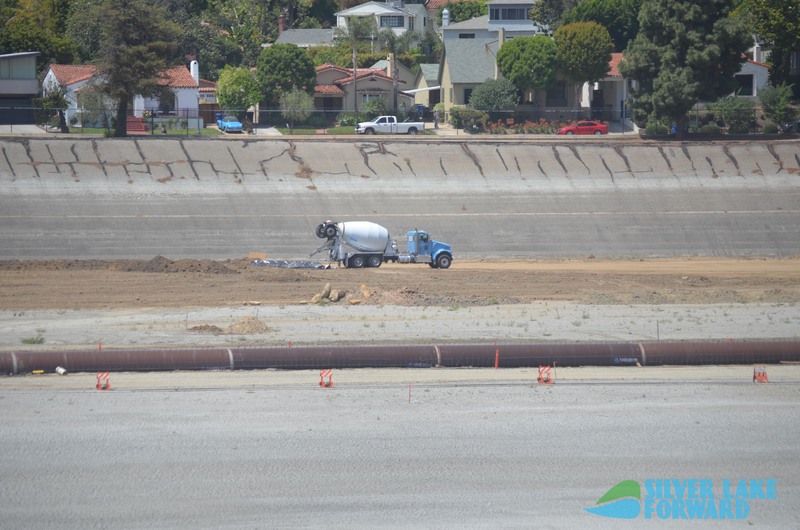 On September 20, 2016 at John Marshall High School the Los Angeles Department of Water and Power presented a detailed update about the plans to begin refilling the Silver Lake Reservoir in May 2017. 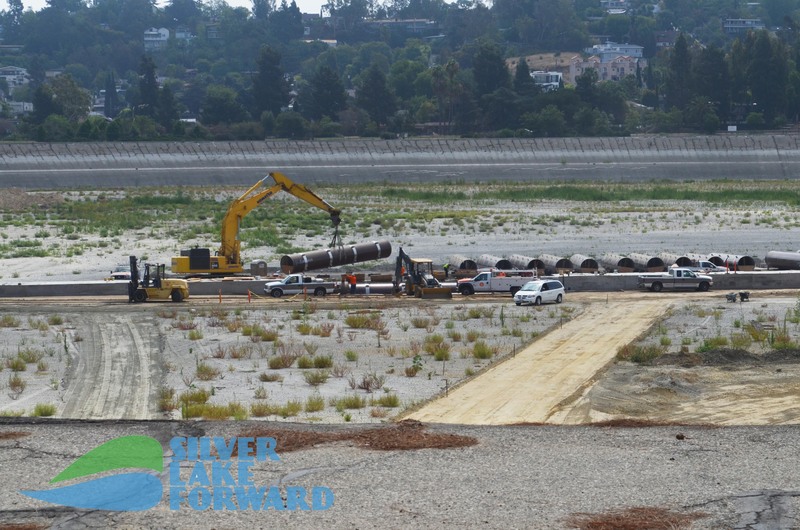 Silver Lake Forward is happy to report that our first petition ask is already happening - we can refill Silver Lake Reservoir in May 2017 in an environmentally sustainable way! 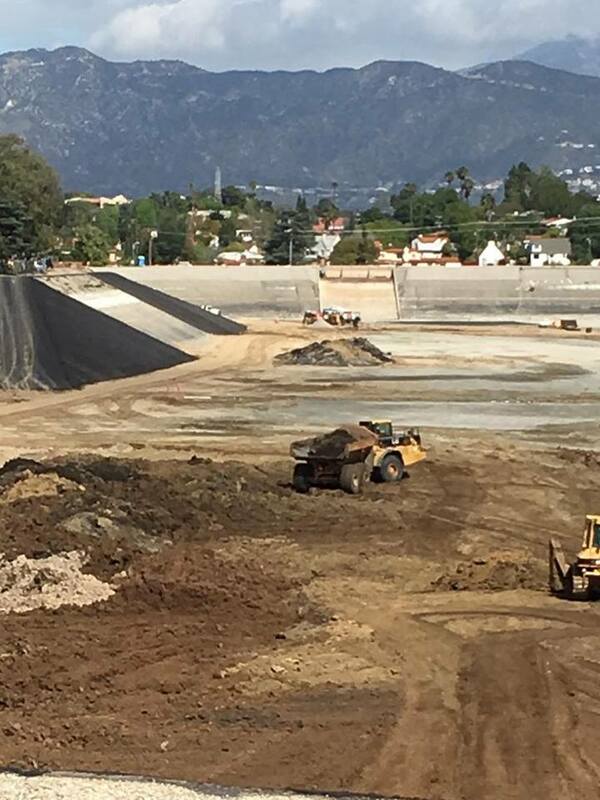 Last night at John Marshall High School the Los Angeles Department of Water and Power presented a detailed update about plans to begin refilling the Silver Lake Reservoir in May 2017. Next Community Meeting is September 20th! 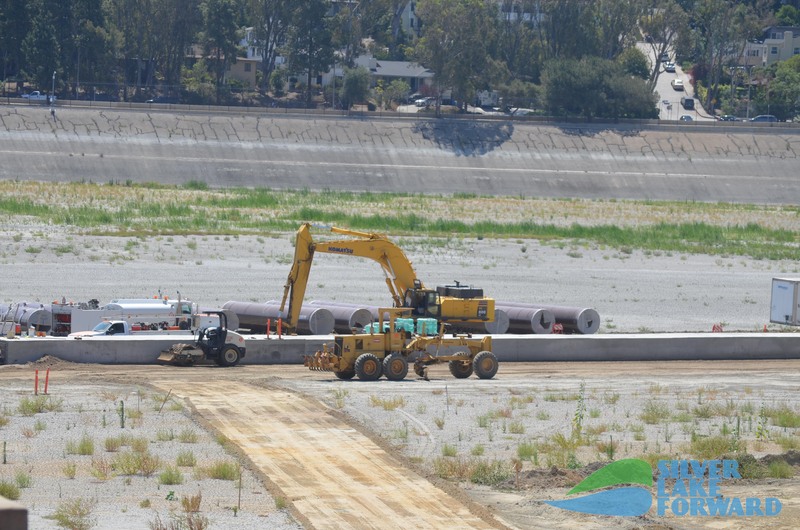 The next report-back from DWP on the future of the Reservoir will take place on Tuesday, September 20th. 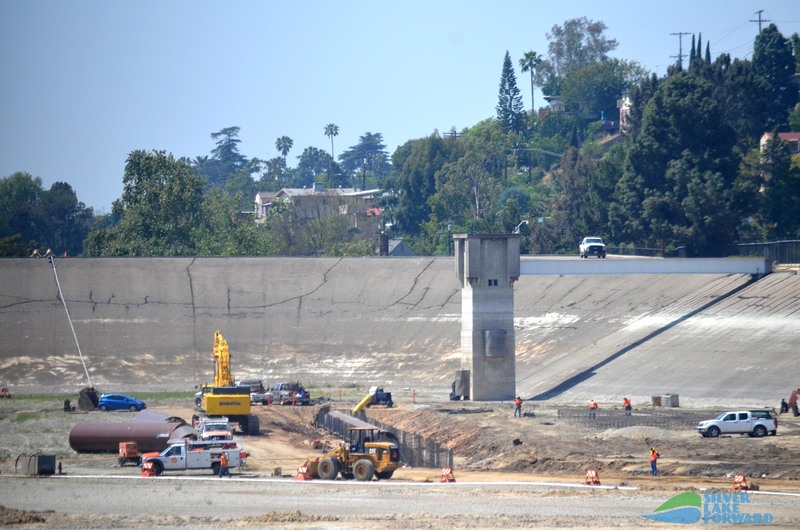 Councilmembers David Ryu of the 4th Council District and Mitch O'Farrell of the 13th Council District, in conjunction with Los Angeles Department of Water and Power (LADWP) will all be represented. 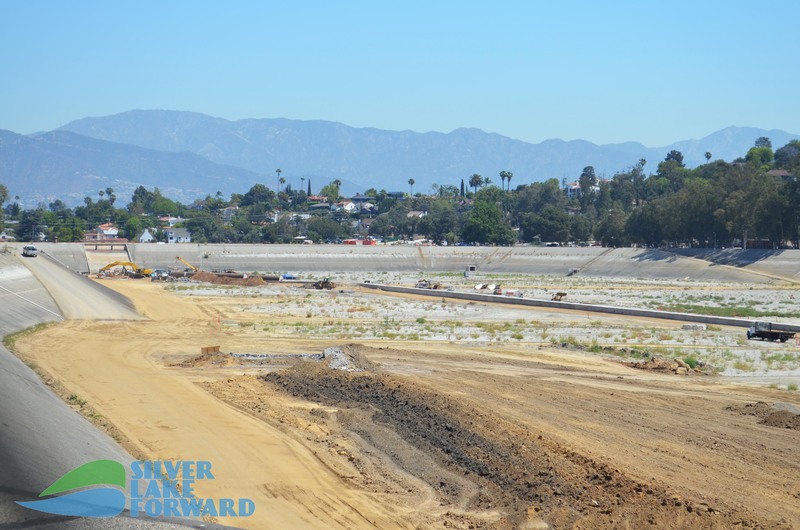 LADWP will provide a reservoir construction update, discuss restoring water to the reservoir and improvement options with the community. 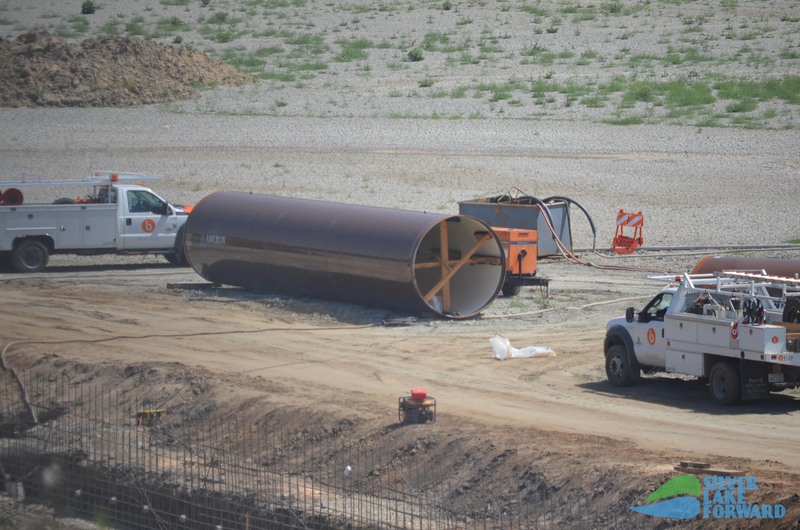 This is another opportunity to get an update and voice your support for a comprehensive plan and community engagement process to create a real plan for the future of the Reservoirs. Check out our petition and join us! Silver Lake Forward (SLF) members attended the public DWP meeting on June 30th, 2016 at Micheltorena Elementary. 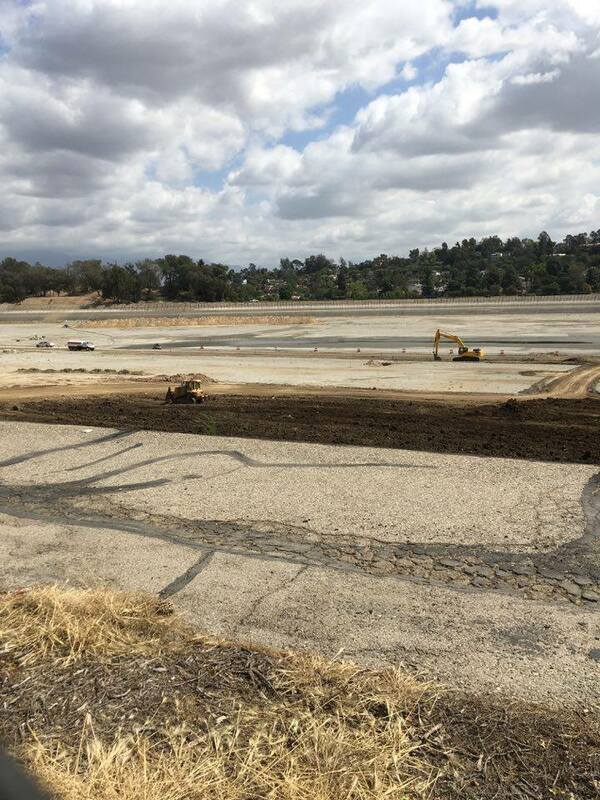 Representatives from LADWP and Councilmembers O'Farrell and Ryu provided an update on the construction progress and the next steps for the Silver Lake Reservoirs. While the meeting provided the community with answers to several open questions, SLF believes continued public engagement and site planning is required. 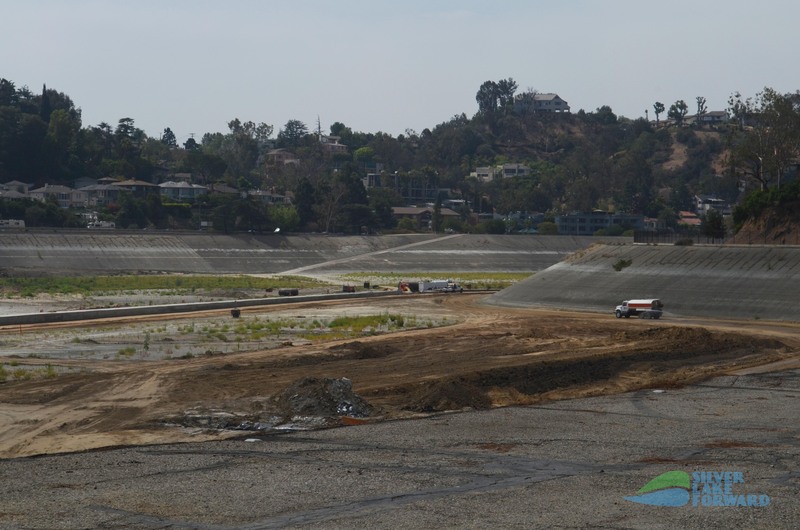 LADWP and the Councilmembers reaffirmed the City's commitment to restoring water in the Silver Lake Reservoirs. 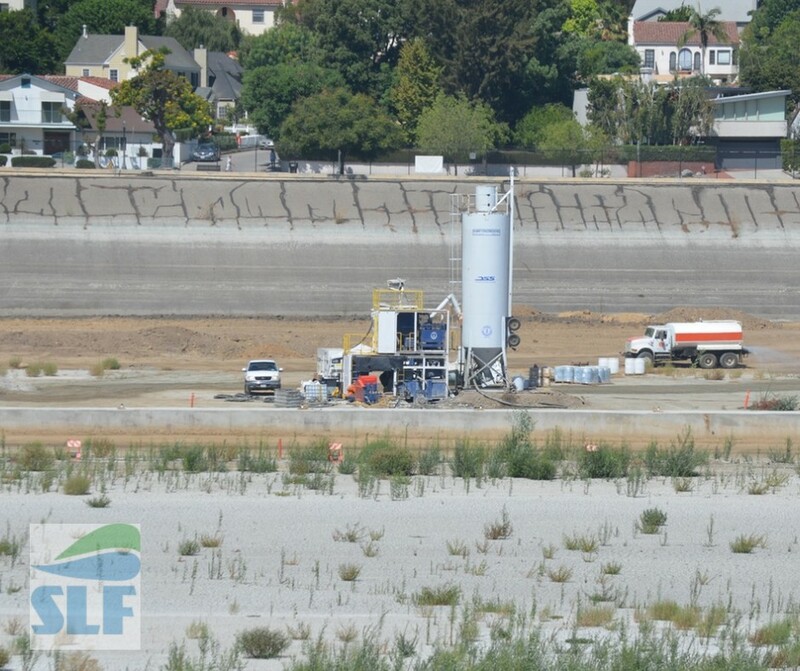 They are exploring several sustainable, non-potable water sources including available recycled water from treatment plants, well water, local stormwater capture, and the LA River. 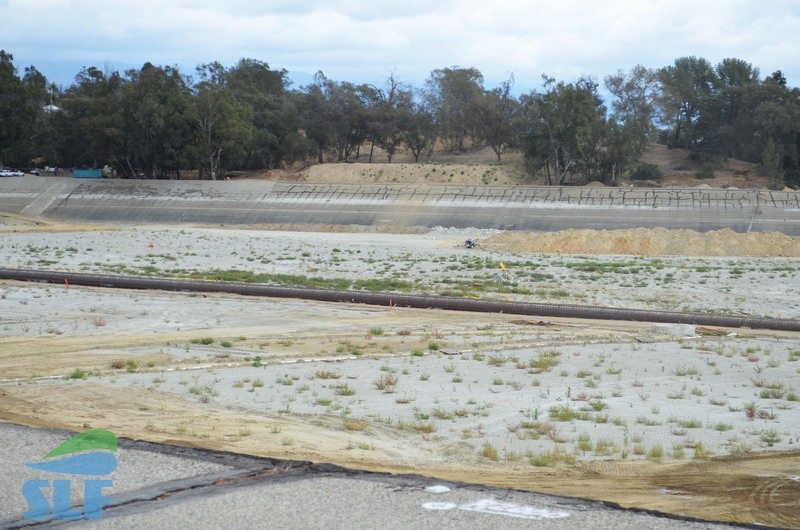 Their plan would ensure a long-term source of free, sustainable water for the Reservoirs in future years. 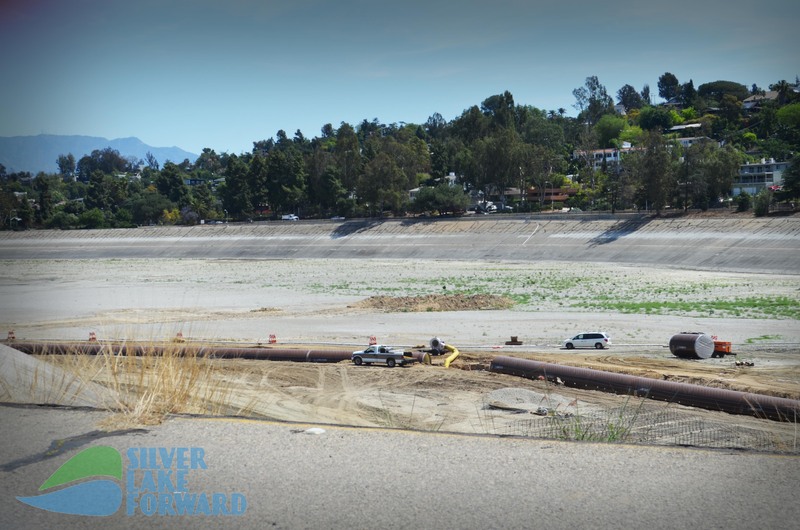 Silver Lake Forward is committed to the Silver Lake Reservoir continuing as a beautiful urban body of water. We encourage the use of recycled/ reclaimed water. We need a community planning process and feasibility study to determine future uses for the Reservoir that support access, beauty, and conservation. We trust that this planning can happen in parallel with construction. 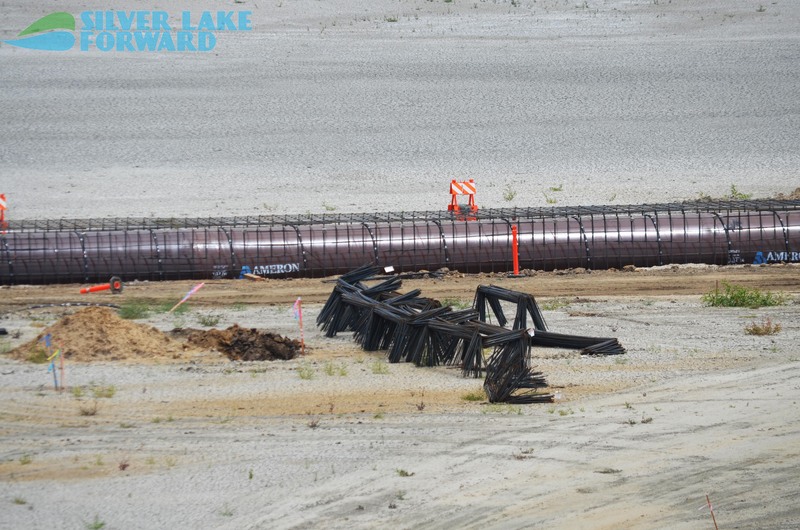 We don't want to slow down the process of getting water back in the lake, and we also want to make sure we use the time the lake will be drained as wisely as possible. Save the date for "Embrace the Lake" the first annual celebration of the Silver Lake Reservoir Complex - it's happening this Sunday at the Reservoir! On Sunday, October 23rd we'll have a day of fun and outdoor activities for families, neighbors, and the community at the Silver Lake Reservoir Recreation Center lawn. We're creating this event in partnership with deLaB - Design East of La Brea. 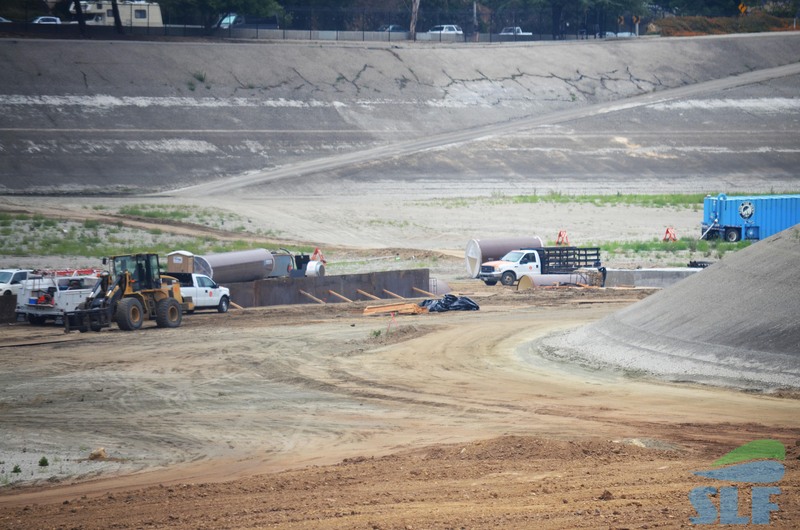 We'll have guided walks around the lake so that people can learn about the history of the reservoir, the construction underway, and think about the potential of this incredible public space. There will be food, fun activities, and presentations about Silver Lake Forward and our ideas for the future of the land, lake, and community. Save the Date! 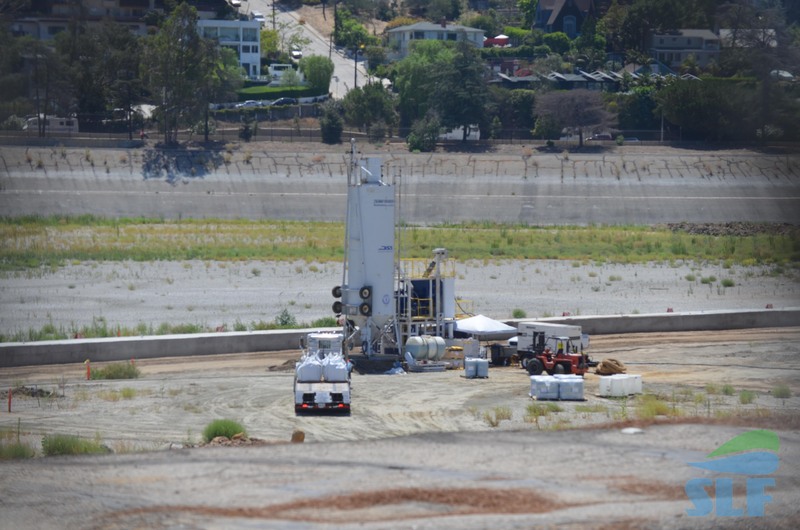 Community Reservoir meeting on June 30th! 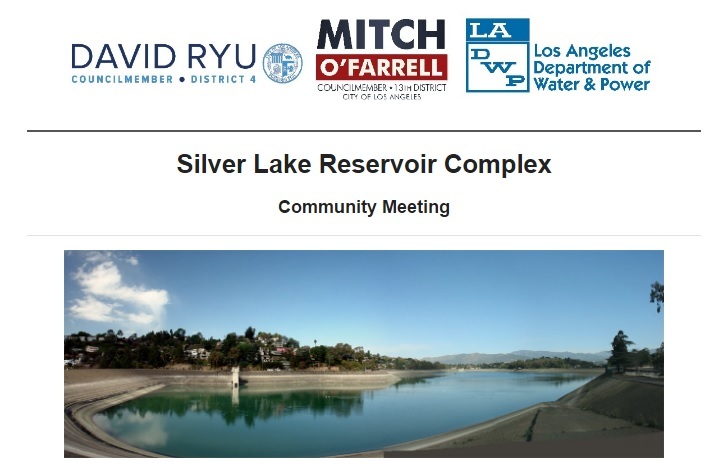 The Silver Lake Neighborhood Council and Councilmembers Mitch O'Farrell and David Ryu will be holding a meeting on the plans to refill the Reservoir -June 30th 7:00 PM at Micheltorena School. 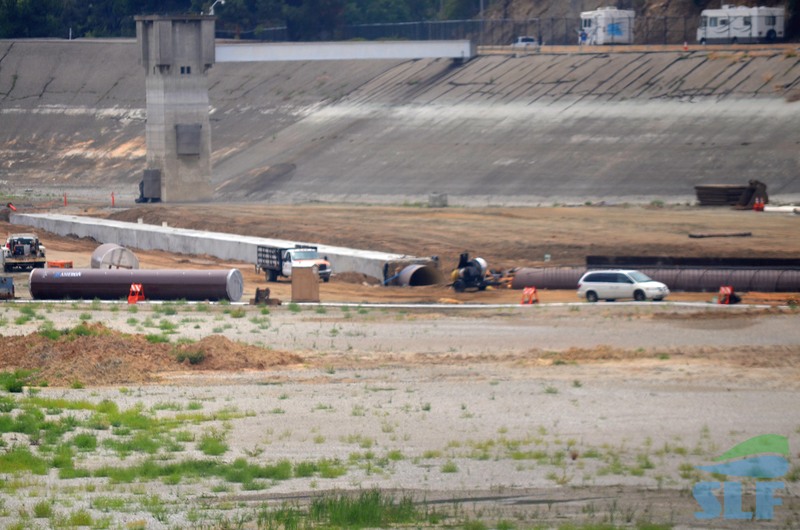 We look forward to learning about the timeline for refilling the Reservoir - the source of much neighborhood anxiety over the last couple of months. The DWP released a fact sheet that outlines answers to some common questions - but the timeline won't be discussed until the meeting. 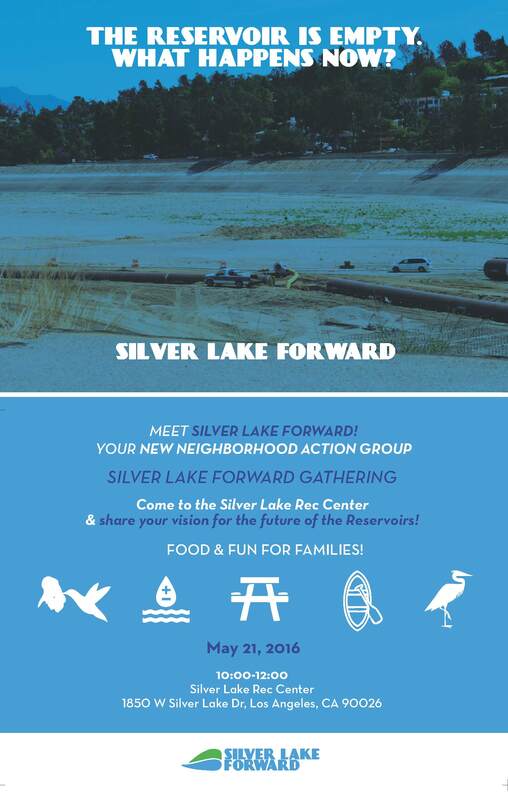 Silver Lake Forward's 2nd Community event! 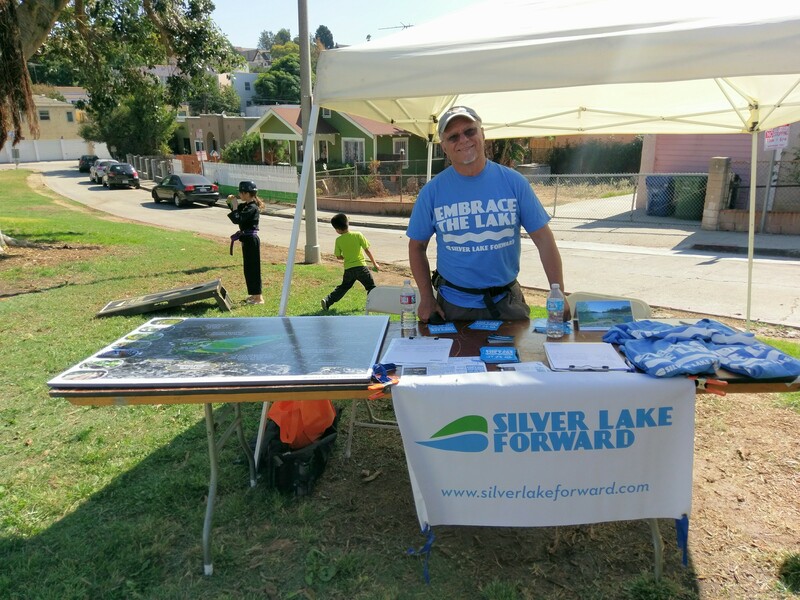 On Saturday, May 21st, we hosted our second community event at the Silver Lake Reservoir Recreation Center! 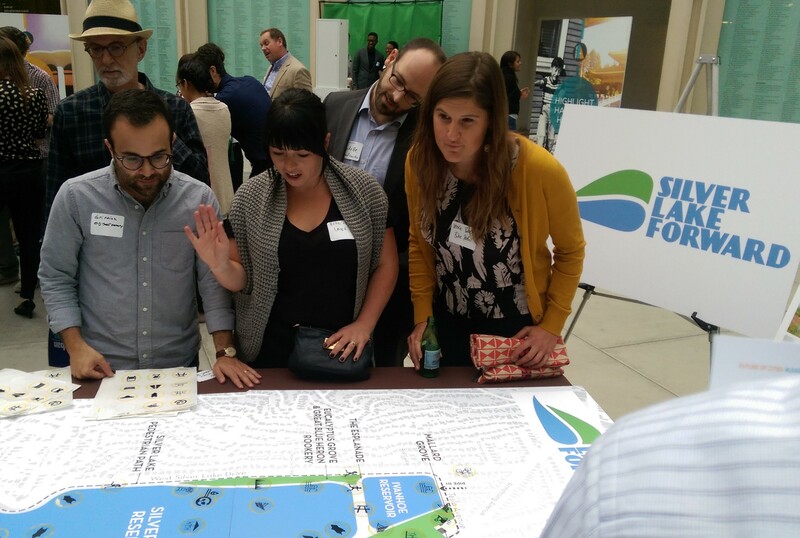 We had a fun morning filled with activities for kids, our interactive map of peoples' visions for the future of the reservoir, and the chance for the community to come together to discuss their ideas and concerns. Many thanks to the newly-elected Silver Lake Neighborhood Council representatives and to Councilmember Ryu's staff for attending (Councilmember O'Farrell's staff came to our first event). 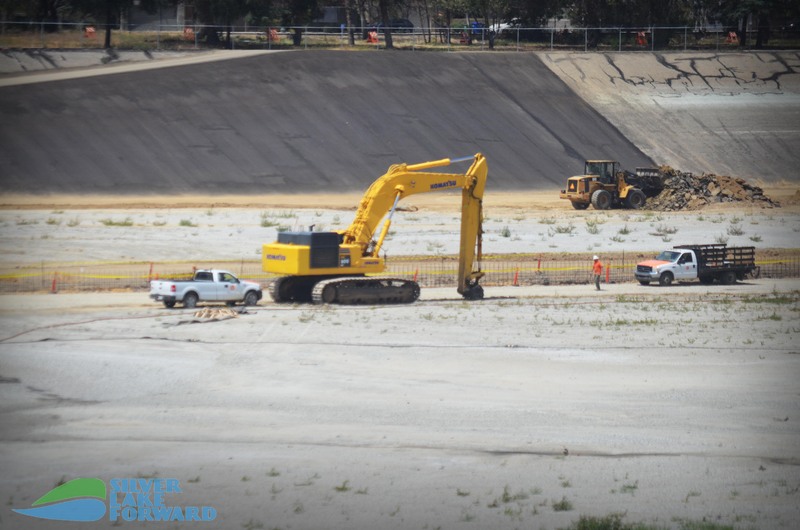 There was a lot of confusion from community members about what the timeline is for the reservoir construction - we look forward to hearing from DWP and the council offices soon about the schedule and plans for how and when the Reservoir will be refilled. 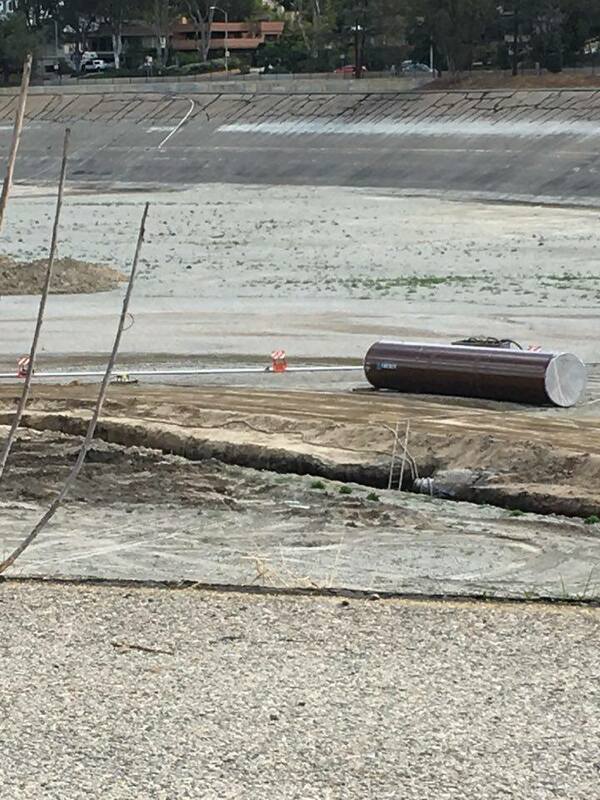 Earlier this week we had the chance to see construction from inside the fence! 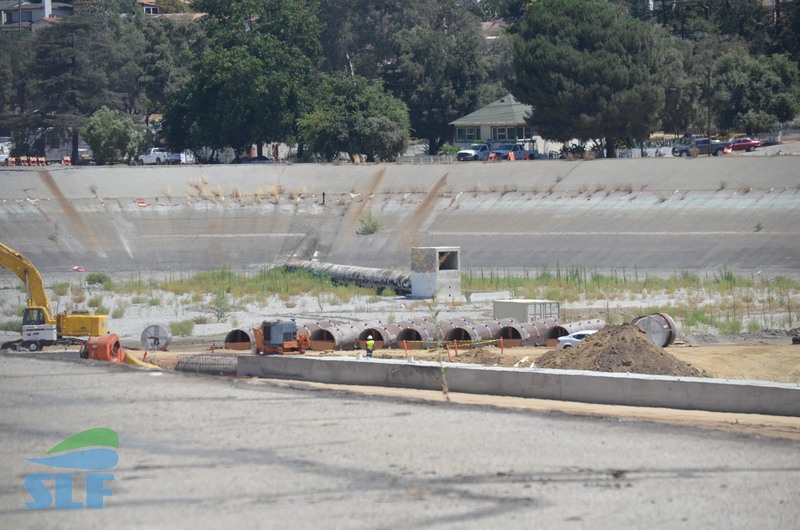 Thanks to a representative at Water Operations at Los Angeles Department of Water and Power we received a wonderful and informative tour of the construction site at the Silver Lake Reservoir! Join us at the Reservoir May 21st! Please join us for our second community event at the Silver Lake Reservoir Recreation Center this coming Saturday May 21st from 10 AM to noon! We'll have activities for kids, a fun photo booth, and the opportunity to share your vision for the reservoir. See you Saturday! On April 23rd we hosted our first public event at the Silver Lake Reservoir Recreation Center. 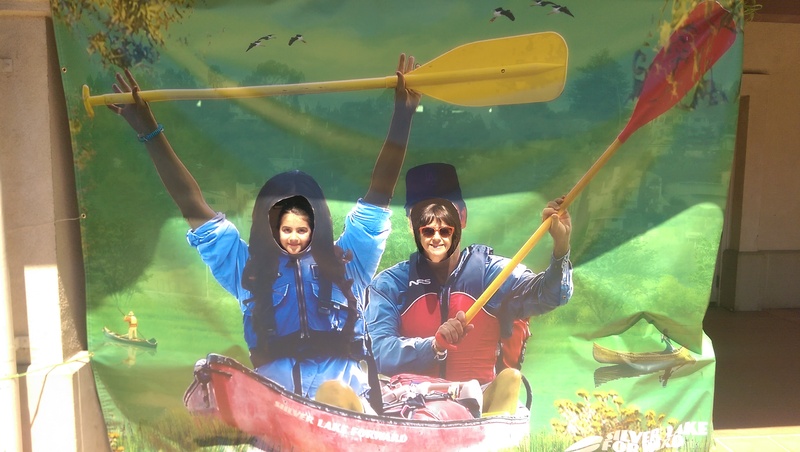 It was a great day - more than 250 attended, close to 100 surveys were completed, many "canoe the reservoir" photo booth pictures were taken, 150 organic juice boxes were drunk, and countless great conversations happened about the future of the reservoir. IF YOU DIDN'T COMPLETE A SURVEY AT THE EVENT, PLEASE DO SO ONLINE! In addition, we got some great press coverage- in addition to the Los Angeles Times op-ed that was released on Friday, we got coverage from LAist, CurbedLA, and NBC4LA television. Check out some of the great photos from the event! 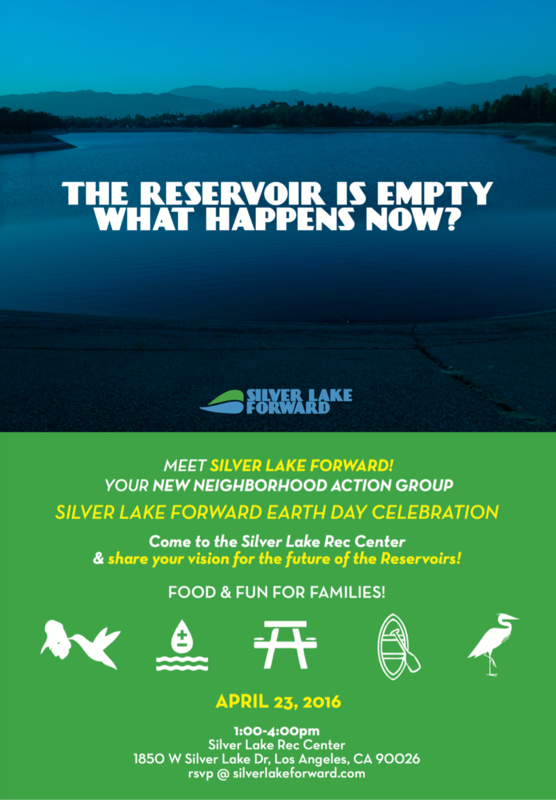 Please join us for an Earth Day Celebration and Silver Lake Forward community event on Saturday April 23 from 1-4 PM at the Silver Lake Reservoir at the Recreation Center. The road at West Silver Lake Blvd. is a two way street again! It was converted into a one-way back in March 2015. New signs have also been placed along the Silver Lake Reservoirs' enclosing gates. 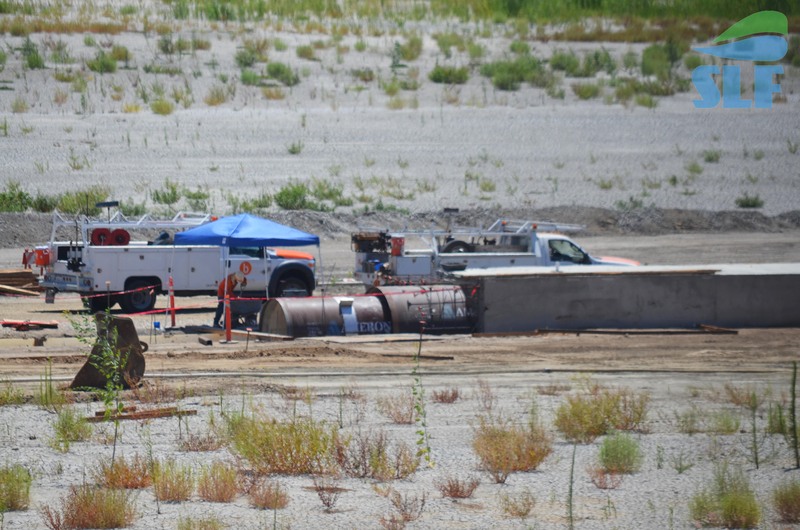 The area within the reservoirs has been more heavily populated by workers and large construction trucks than during previous weeks. 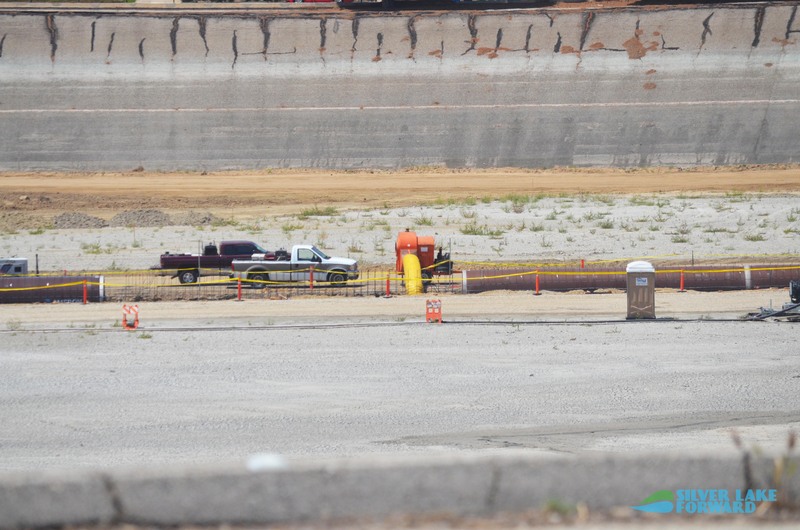 A few visible pipes can now be seen resting above the dirt path waiting to be buried. Check out the glimpse we got of the inside of one. 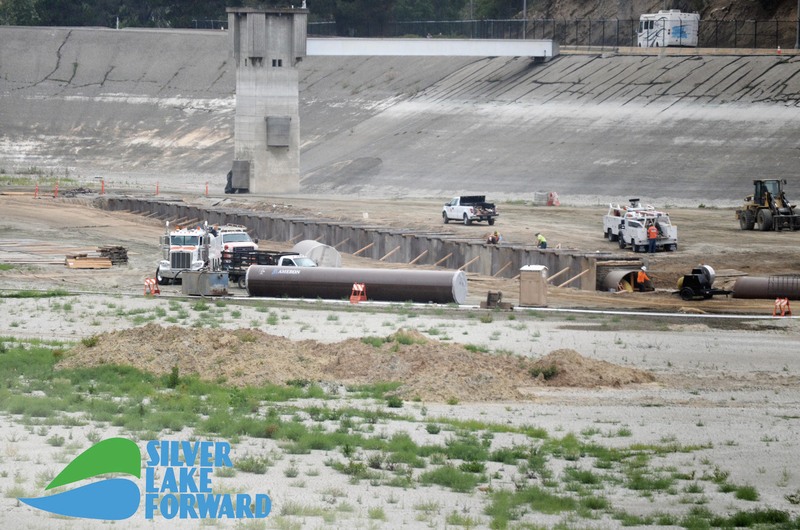 Here at Silver Lake Forward, we'll do our best to keep you up to date on what's happening in and around the reservoirs. 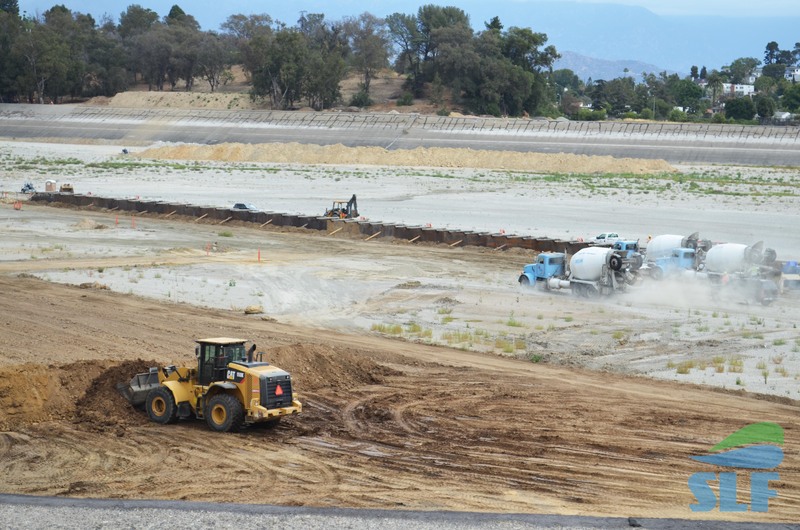 Once a week, we'll be posting updates on the construction progress and documenting what's happening, here on our site and on social media. 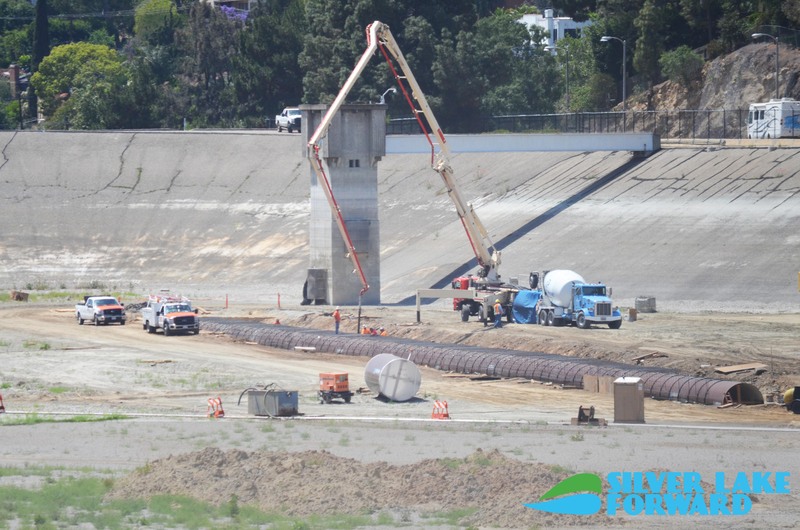 Once the crown jewel of the Los Angeles Water System, Silver Lake Reservoirs have been brought offline and will no longer store drinking water for Los Angeles. 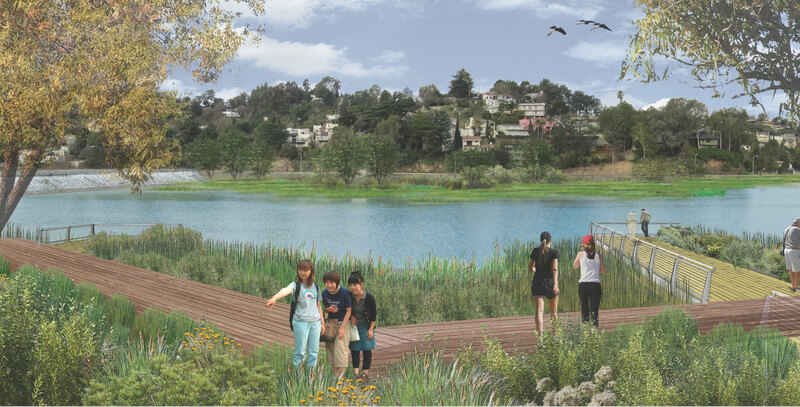 This creates a significant opportunity for the City of Los Angeles, the Department of Water and Power, our elected officials, our design community, and the residents of Los Angeles to create an incredible new public resource. 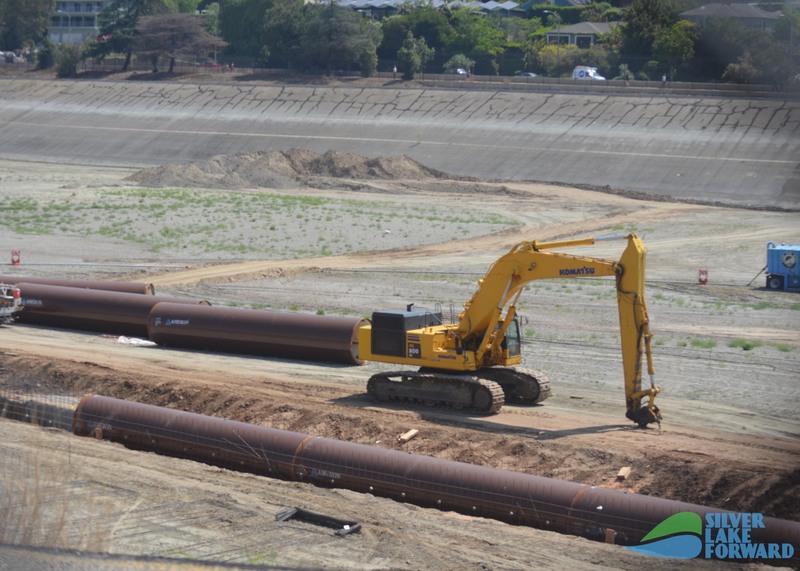 Extension of the LA DWP's efforts to provide a responsive program addressing community values, while ensuring long-term reliable and environmentally sound water supply for the City. 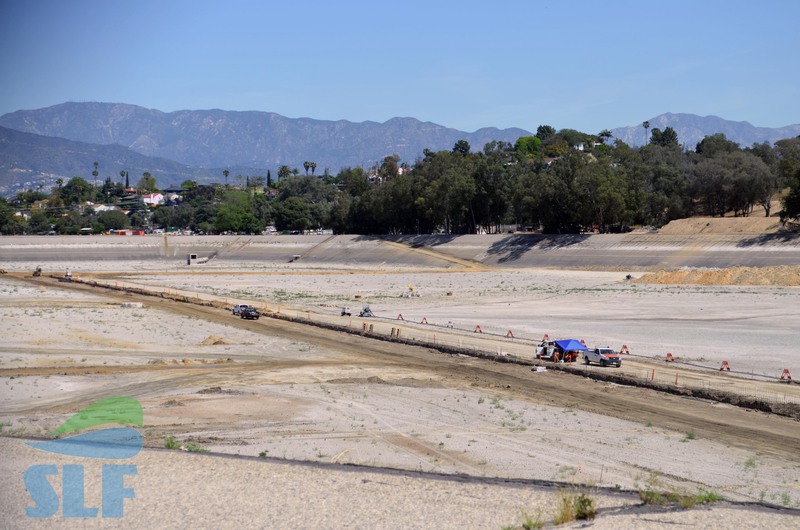 A sustainable future that helps solve the LA Region's ongoing water supply and quality needs, in an era of climate change and diminishing resources. Improved public space and amenities that meet the desires of the community for healthy enjoyment of the Reservoirs' scenic and recreational potential.